in hopes that the advocates soon would be there. First, please note that I am not an ANIMAL RIGHTS RADICAL. I fully support the meat industry and work closely with any number of ranchers on equine welfare issues. 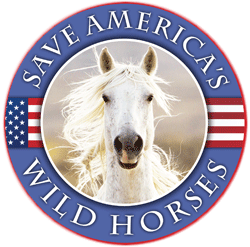 While my organization is committed to the humane treatment of equine, the subject before this committee is about money, the dollars made from selling horses for slaughter – nothing more, nothing less. There is no doubt that a certain breed of human enjoys making beer money from killing horses. Add that fact to the horse owners who have bought the pro-slaughter arguments hook, line and sinker. Between those two, and a few politicians, we have the perfect ingredients for an attempt to do away with the current Texas law forbidding the sale of horse meat and an attempt to open a horse slaughterhouse within the borders of the State.